Unfortunately, that leaves Andre Heidari as the lone scholarship senior without a shot in the NFL. Hopefully, he had other plans. 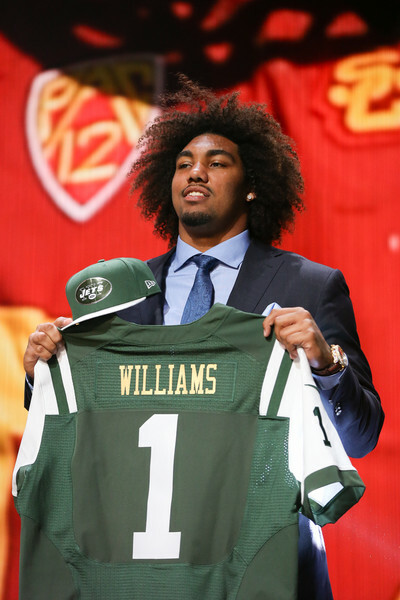 Leonard Williams is the only one out of these juniors and seniors that will be the only Trojan on their team, but he joins an already scary defensive line. With the addition of these ten players, there are now 52 Trojans in the NFL (including practice squads). However, by the time the 53-man roster cuts come around, there will probably be a lot of movement. Go ahead and hate on my 10 minute fake depth chart. I haven’t followed some of these players in years, so I have no idea what their abilities are like at the moment. The point was just to get them all on the chart to see if fielding a full 22 was possible. To make them all fit in there, some people had to be moved out of their best position. Enough daydreaming—or maybe not. We’ve hit that point in the offseason. No more signing day, no more spring practice, free agency, Combine, spring games, Draft—everything is over. Maybe all that’s left is daydreaming. We must survive the drought which is, unfortunately, both literal and metaphorical. At least one of them ends in August…Sorry to crap on your hopes and dreams, dude. You can always come visit this sad place.